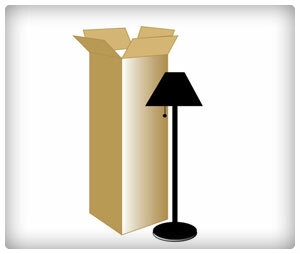 Lamp boxes are designed to be extra stable so that you can transport irregularly shaped objects such as, yes, lamps during your move. Their thicker bases are great for balancing golf clubs, telescopes, or tall houseplants. They’re a great way to protect long objects that might not necessarily survive a move. Learn more about the different types of moving boxes.